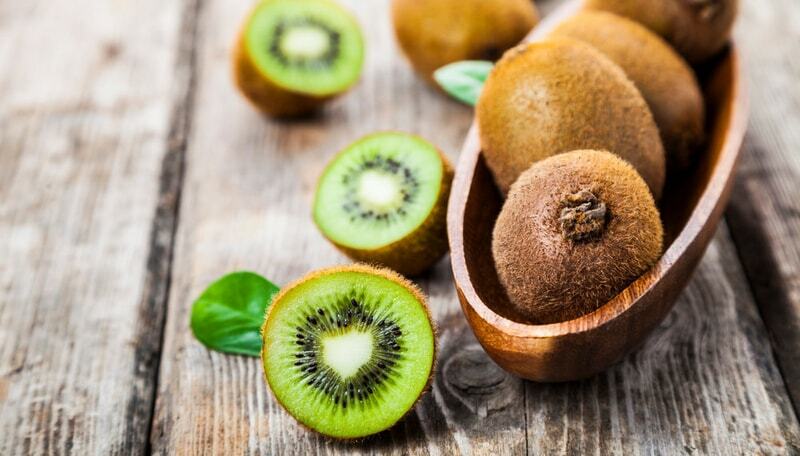 Did you know another word for kiwi is in fact Chinese gooseberry? Yes, that’s true. When you’re done reading this article, you can even find the corresponding page on Wikipedia to check it yourself. This article will take you through everything you need to know about growing kiwi. Where it will grow, how to plant it and more. We’ll even take you through some of its many benefits, storing it properly and much, much more. It’s no surprise that a lot of people that already have an avid interest in having a vegetable garden are turning to the growing of this great tasting fruit. Kiwi trees produce fruit that many people love, and have turned into a tree that is becoming more and more common in people’s backyards. In order to grow them, there are however some requirements that will ensure a better yield. These trees thrive especially in conditions where they won’t be exposed to sun during the winter and early spring, which can either be achieved by planting them hidden away by trees or choosing the right slope of a hill. As with most other types of crops, they prefer loam soil, so you might need to add organic matter and amend soil if yours either either too sandy or too clay. The loam soil has the advantage that it drains well, without sucking all the moisture out of the soil as is the case with sandy soil, where the bigger articles basically just lets the water run straight through it. Clay soil is high in nutrients, and sandy soil drains well. Loam soil is a good mixture of the two, containing good amounts of nutrients and is well-drained, thereby perfect for the growth of kiwis. If you’re just starting out with your garden now, we encourage you to read our gardening tips as well as considering getting a professional landscaping company to come and help till your garden. Without proper drainage, a lot of plants will simply not fare well, and there’s an increased risk of crown rot, which is in fact a fungus that likes wet conditions. The bad thing is that if the tree is already affected by it, it is hard, if not impossible to treat. 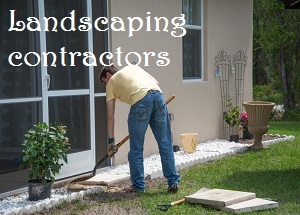 Discoloration of the plant may be a sign that will reveal it, but it is often not very obvious to spot, especially not if you’re not a professional landscaper. The most important aspect of crown rot is to make sure that you prevent it in the first place, by using good, well-draining soil. The issue about the disease is also that it can spread to some of your other plants if you don’t notice it. Making sure to not over-water plants is another important part of prevention. From this, it should be obvious that your efforts should be going into avoiding it in the first place, or you may very easily end up having to have the tree removed to prevent the spread of the disease. There’s also a pH range that the tree prefers to grow in, and that’s when the pH value is between 5.5 and 6.5. Most types of plants will be particularly vulnerable in their earlier stages, and that is also the case with the kiwi tree at which point the right soil are even more important. Rather than planting the tree straight in the soil, they may instead rather opt to plant it in ceramic planters or other containers in which they have a little bit better control over the different aspects, such as watering. These can then be placed either inside your home, in a sunroom or on a porch, although if your goal is to make sure the plant gets the right amount of water, that’s obviously more easily done when covered. We’re also often asked about the possibilities of growing kiwi in a state such as Florida. If that is where you want to grow them, you’ll want to make sure that they’re shielded from the harsh sun during the winter. The state also really does not have a climate that is very well suited for kiwis, given that they don’t want summer temperatures above 77 degrees, and that it is also traditionally a plant that grows in a certain altitude. Yet another thing that isn’t the case with the geographic limitations in the state of Florida. If you live in Florida, there’s a bunch of other fruits that you will have more success growing such as grapefruit, fig, banana, pomegranate, lemon, lime and avocado to mention a couple. For the first couple of years during which the plant is more vulnerable, it’s a good idea to shield it against the cold if you live in an area that gets cold winters. If you have either turned your garage into a room, or have a basement, it can be put in either of the two. Since an unfinished garage won’t receive heat from the foundation the same way a basement will, the space will need a certain amount of heating to ensure it doesn’t become too cold, given that it is also often not properly insulated. Do you know why commercial places that plant crops often seem to raise the earth that it’s planted in? It helps with drainage when the soil is less than optimal or if you simply live in an area with a lot of rainfall. When you have planted the plant in the outside soil, burlap can be used to wrap around the plant which will give it protection during the winters. You might think that it’s a thing that should be done even before the first frost date, but that’s a misconception with kiwi, since the plant also needs to learn how to deal with the cold, and since the weather will only be turning colder over the following months. Although younger trees are more vulnerable, this protection can also be added to more mature trees. Kiwis can cross-pollinate across different varieties of the plant, and it only takes one male plant per 8 female ones, although the distance to the female trees is crucial and should be no more than 35 feet. You probably hate garden pests, and you might not even be a fan of having bees flying around, but they have an important job in helping pollinate the trees. The two different genders of the tree will both have what resembles the flower parts of the opposite gender, although those will not be functional. If you don’t want to leave things to chance, there’s always the possibility of hand-pollinating the plant also. The issue with the pollination and the two different genders is that the different varieties of the plant don’t necessarily bloom at the same time, which is required. A lot of different fruit producing plants can be grown on different structures, getting them off the ground, another example being the cucumber. Gazebos and pergolas are popular to use for homeowners, although the most optimal solution is to use a trellis. The kiwi plant does, however, need to be trained to grow on the trellis. The trellis should be 6 feet high with a wire on top of it. Pruning the plant is an important part of it and is done to help train it as well as divert its energy into sustainable growth. It’s also done to make harvesting more easy. Pruning is also done for sun exposure purposes. Fruiting shoots will depend on the conditions the plant had the previous years. When you prune the plant, shoots should be tied to the support so that they can learn how to grow correctly. Dormant pruning is best done in the winter. When the trunk starts developing, you’ll want to tie it to its support, although you won’t want to wrap it around the support. The pruning will be done with the idea in mind that you want to develop two cordons. Once it grows so tall that it reaches the wire, so 6 feet above the ground is when you will want to do so. You want to leave the two most promising buds facing in opposite directions as to best use the entire wire space. If the trunk doesn’t actually manage to get to the wire, counter-intuitively, you’ll want to shorten the trunk as it stimulates growth the following year. Growth along the trunk is bound to happen and to focus the plant’s energy on the two promising buds in the wire, cut off everything else. The cordons should at this point also be shortened to roughly 24 inches. Each dormant season you will want to prune so that the cordons that is left is only 2 feet more than the previous year, meaning it will take 3-4 years for it to reach its desired length. When the cordons get to 7 feet, pruning will consist of removing any length beyond 7 feet as well as cutting away any growth along the way. With a foot in between them on the cordons, fruiting arms should be allowed to grow, also on opposite sides of the cordon to ensure that they spread out nicely and evenly across the wire. When these arms grow closer than a foot from each other, those should be removed during the winter. Since these arms are very light, they may fly around with the wind, which you will want to counteract by tying them to the wire. That is, if it’s possible with the stiffness of the arms. Subsequent pruning includes cutting back the cordons so that they’re no longer than 7 feet and removing any excess growth. Are you growing it on a pergola instead of a wire, then consider not limiting the plant to just two cordons, but a few more. In turn, it’s common to more aggressively prune fruiting arms, but with the increased amount of cordons, you’ll get a more stable plant and the increased cordons also affects the amount of fruiting arms. All of this pruning may seem like a lot of work, but there’s a reason for the madness since it helps with the fruit production and directing the plants growth. The kiwi is impressive in the fact that a well cared for plant will produce more than 50 to 200 pounds of sweetness. This fruit is snapped off as part of the harvesting. The ideal solution would be to have a refractometer, and if you didn’t know what that does, don’t worry. It is capable of measuring sugar content, and for kiwis you want that level to eb above 6.5% before it’s ready for harvesting. As the fruit ages, it ripens and its sugar content increases too. Size itself is not enough to determine whether a kiwi is ready to be harvested or not, and it’s only around late October that it’s sufficiently ripe despite reaching its maximum size already two months prior to that. When you harvest it, it will naturally start becoming softer, but it’s not enough for it to become softer if it doesn’t have the desired sweetness to it, which only happens at the mentioned sugar content level. Even after harvesting, the sugar content will continue increasing because of the starch being converted, and the levels it’s generally eaten at go as high as 15% sugar. The more ripe a kiwi is, the faster it goes bad too once harvested, and if you’re simply planting a kiwi tree as part of your garden, you can already start harvesting some of them in September and simply let them ripen on your counter. Commercial growers will rather harvest them all at once because it isn’t economically viable to do it differently. It’s only after it is picked that it will start softening and turning into that fruit that you will want to eat, so its firmness is no good indicator of how ripe it is. Bruised kiwis won’t last nearly as long, and you should therefore be careful when handing them to make sure you don’t accidentally drop them or place something heavy on them. The plucking method involves snapping the stem near the fruit. While inconvenient, the best indicator of whether a kiwi is ripe or not is the seeds inside, meaning if you really want to know, you can cut one open to see. You will wan to see that they’re black, which is the stage you’ll be looking for. Even if size isn’t the best indicator for ripeness, start off by harvesting the largest ones, and that way the plant will no longer be focusing on growing those but can focus on the smaller ones. When stored properly, this fruit has an impressive amount of time it will be good for, although it does require a consistent 32 degrees. If stored like that as well as kept away from ripe fruit, it can last as long as 6 months. Ripe fruit gives off ethlene gas, which will cause other surrounding fruits to ripen faster. You might have noticed that with other types of fruit too. If your goal is to make them last as long as possible, the fruit should be put in those conditions as soon as they can, and while moisture can cause floors to squeak, it a lot of humidity helps in storing kiwis. Can You Eat Their Skin? While people associate kiwis with actually eating the inside, there’s also a surprising interesting to find out if it’s possible to eat their skin, which is why we’ll cover it. The good news – it contains a lot of good things such as fiber, folate and vitamin E, so next time you eat this delicious fruit, try eating the skin too. These are in fact nutrients taht the average person lacks, so it might just help you get those nutrients you’ve been lacking. In fact, a lot of the antioxidants are not in the flesh but rather in the skin. We’re not saying that taking on this practice is right for everyone, since some people will steer clear of the skin. The fuzzy texture is just not that appealing to everyone. In fact, a lot of that fuzziness is removed by scraping it with a spoon, and you’ll still be getting a lot of those nutrients. Alternatively, you can take a clean towel to rub it with and get the same effect. Why does the kiwi irritate some people when they eat it? This fruit has something called raphides that will gently scratch where it goes, and since it’s also an acidic fruit, the feeling turns some people off in the process. This is especially the case when also consuming the skin, and you’ll also notice that the feeling is less when the fruit is more ripe and sweeter. Before you decide to go all in on growing your own kiwi, it might be a good idea to make sure you don’t suffer from an allergic reaction to the fruit, which is possible, although not common. There have been cases with people suffering from severe anaphylactic reactions as a consequence of consuming the fruit. Rashes, weakness and headaches are all signs that you may be suffering from an allergy. Itching or tingling can be consequences if your reaction is less severe. 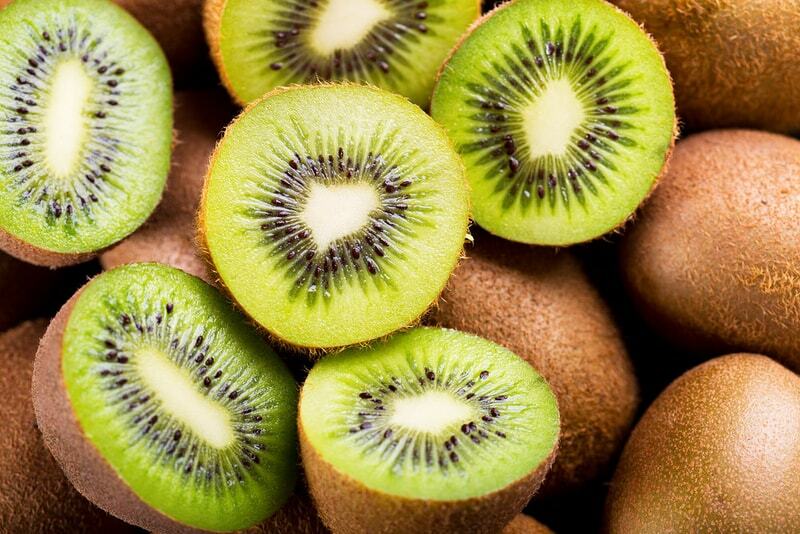 People with kidney stones should at least avoid eating the skin, and might want to avoid eating kiwis all together because of the same thing that scratches the inside of your mouth. Kidney stones are no joke, and these oxalates will do nothing good to people that suffer from the predisposure to kidney stones. While there are people that might want to avoid consumption of this fruit, they provide a range of advantages to the vast amount of people, since they can help with constipation, digestion, immunity, iron absorption, blood pressure and cholesterol. Those are all aspects that they’ll be influencing in the right direction, so the fruit is definitely not without its benefits. While we’ve gone through some of the most important things above, there are still additional tips. The first is to make sure that you choose the right variety. They are generally able to sustain the temperatures in hardy zones 5 through 9, but your choice of variety should be influenced by your geographic location since it definitely plays a role. There are certain Russian selections like Tayana, Ananasnaja and Natasha that can handle significantly colder weather and soil temperatures than other types. Michigan State kiwi is another popular variety with its large fruits and ability to sustain most weather too. If you’re not careful in pruning them, you’ll quickly come to realize that these plants grow extremely fast, and t hat they can in fact get as tall as 40 feet, which naturally also creates certain requirements for the structure they’re using for support, whether it’s your pergola or a trellis. We weren’t joking when we said that it’s important to be pruning throughout the life of this plant. If you’re planting it on a pergola and pruning is hard since it is so elevated, you will want to make sure that it doesn’t suffer structural damage as a consequence of the weight. Using mulch around the plants is a great way to keep them protected against the harsh sun in the winter, and it can also help in adding nutrients to the soil too. The good news about growing this fruit is that you won’t be bothered by garden pests as you would with other types of fruit. If you have any additional questions about growing kiwi, we always welcome them!